The much-awaited Chinese smartphone major Huawei’s Honor Holly 2 Plus will go on sale from February 15 through Amazon and Flipkart. The new smartphone is priced at Rs 8,499. The new Honor Holly 2 Plus sports a 5-inch IPS LCD display with a 720 x 1280 pixel resolution and powered by a 1.3 GHz QuadCore processor paired with 2GB RAM. 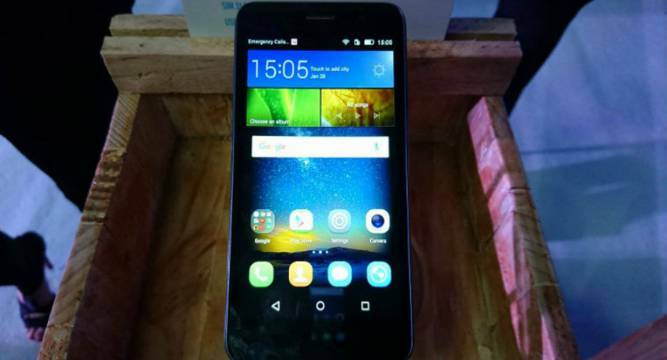 It runs on Android 5.1 Lollipop, with a 13MP rear camera along with a 5MP front facing camera. It has Auto Flash, Continuous Shooting, Face detection, Geo tagging, High Dynamic Range mode (HDR) and Touch to focus features to boost. It has an inbuilt storage of 16GB which can be further expanded up to 128GB. A 4000 mAh battery for long duration which completes the entire package. Huawei sold one million smartphones in 2015 that includes 8,00,000 Honor branded phones.